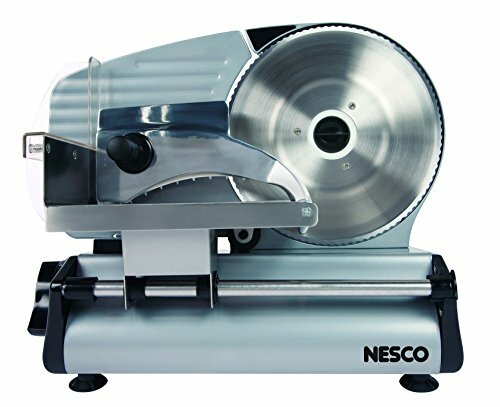 ★ First thing we want you to know, if you purchased our mandoline slicer and you did not like it you can return it and you will get your money back NO QUESTIONS ASK! 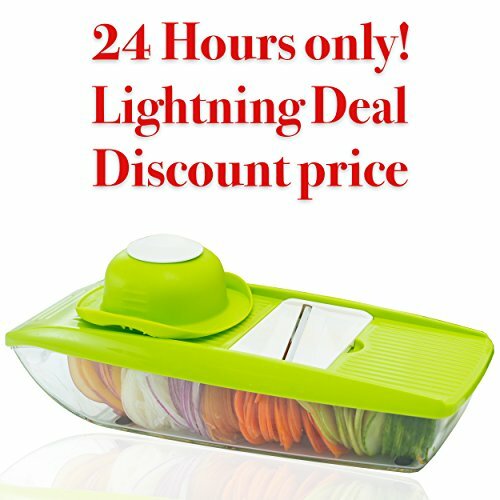 THE BEST KITCHEN TOOL FOR FAST FOOD PREPARATION AND HEALTHY EATING ! 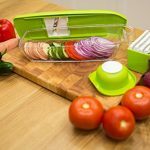 Quickly transform fruit or vegetables into a ready to eat meal by using any of the our available blades from our Mandoline Slicer. Your cooking time will be highly reduced as preparing any food with the slicer just takes a few seconds. 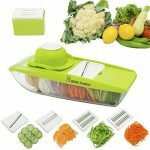 ★ AMAZING MANDOLINE SLICER SET: Within this set are 5 interchangeable steel blades, a food container base, a detachable mandoline slicer, a fine grater, a straight slicer, a safety handle, giving you all the tools to create a perfect meal with ease and style. ★ 5 STAINLESS STEEL BLADES: Vegetable Slicer, Vegetable Grater, Fine Grater and Julienne Slicer! 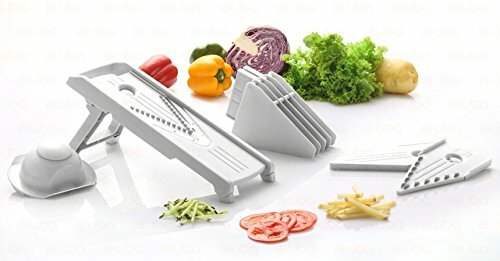 This Multi-Purpose Mandoline Slicer is Excellent for Use as Vegetable Cutter, Vegetable Peeler, Vegetable Chopper, Cheese Grater & Carrot Grater ! 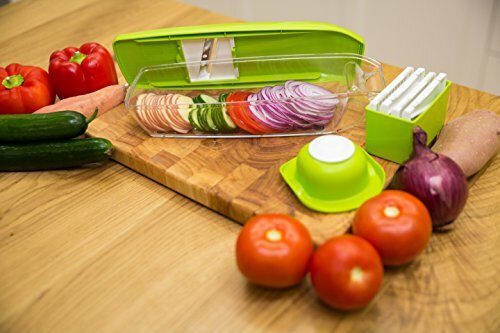 Want to cut softer vegetables and fruit like a Tomato? 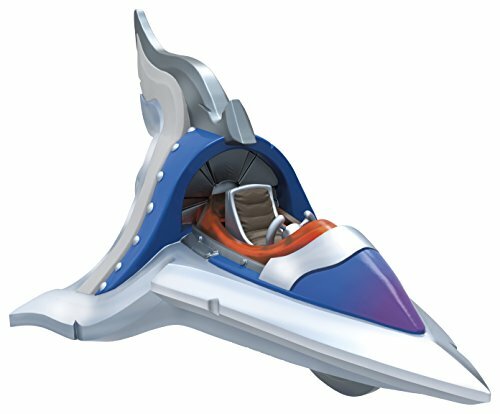 Just use a simple zigzag movement! Prepare healthier, more creative meals while reducing your food preparation times with the all new 5 in 1 mandoline slicer from b.wiess the mandoline slicer comes with 5 sharp interchangeable stainless-steel blades for slicing, dicing, julienning fine julienning and more. 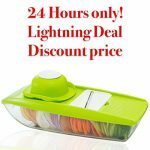 ★ EASY TO CLEAN AND STORE: Our slicer is very easy to wash the slicer with warm soapy water and it is ready for another use. After drying, it is ready to safely be stored as all blades and hand guard fit in the container. ★ STOP ! YOU NEED TO KNOW THIS, WE GOT YOUR BACK. We provide you with a 12 month warranty on our product so you can Buy with ease. And we want you to know that for any question or if you just need help, our support team is here for you 24 hours a day. 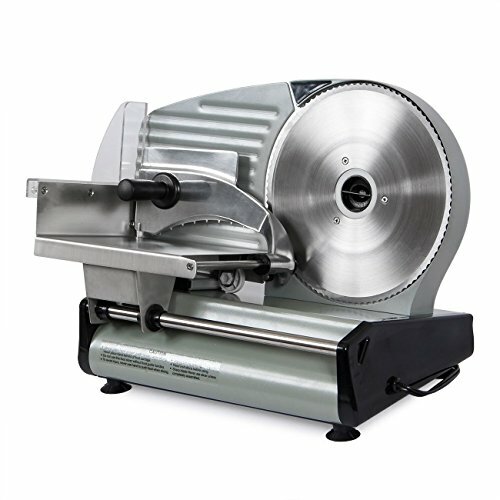 So dont waste your time and click on “Add to Cart” and enjoy your new mandoline slicer today !